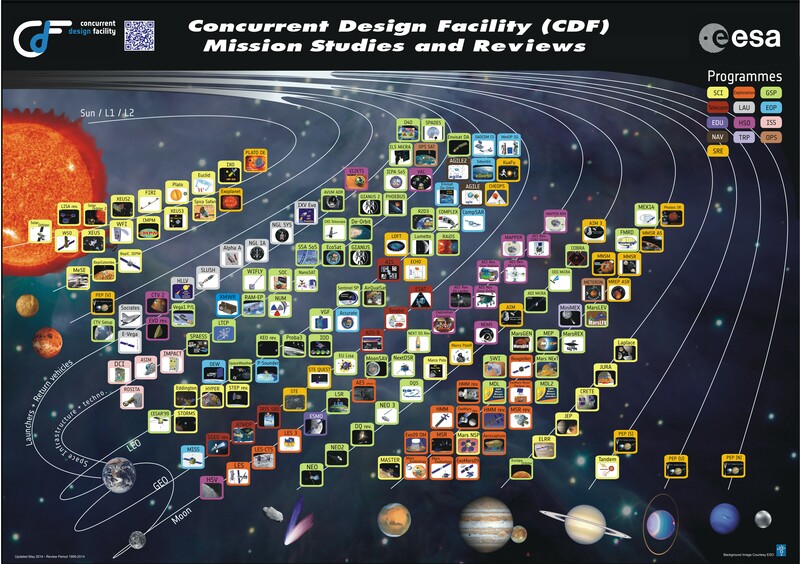 M5 CDF Studies26 March 2019 The ESA Concurrent Design Facility (CDF) has recently carried out three assessment studies for the Science Directorate on the M5 mission candidates: SPICA, THESEUS and EnVision. 108 students take part in ESA Academy’s Concurrent Engineering Challenge 2018!12 November 2018 Last year, ESA pioneered a new Concurrent Engineering Challenge to educate and inspire university students. It proved to be such a success that a follow-up has now been run and completed. SECESA 201829 October 2018 The 8th International Systems & Concurrent Engineering for Space Applications Conference (SECESA 2018) was held in the city of Glasgow. It was jointly organised by ESA and the University of Strathclyde.